Carnival Cruise Line was named the Best Ocean Cruise Line by readers of USA Today and 10Best.Com. 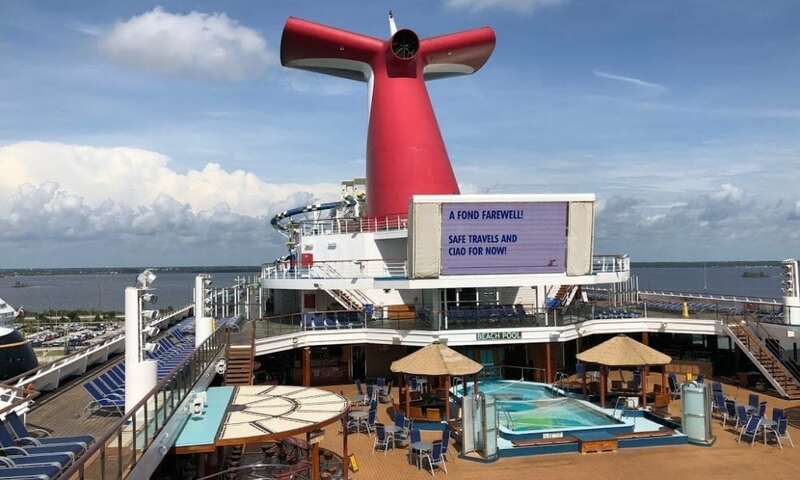 Along with this honor, several of Carnival’s ships also secured top spots in categories including Best Cruise Ship for Families and Best Mid-Sized Ship. Second Place in the Best Ocean Cruise Line category went to Princess Cruise Line, with Viking taking third. Rounding out the top five were Norwegian and Royal Caribbean, respectively. How Were The Winners Picked? The original nominees in each category were selected by editors for both USA Today and 10Best.com as well as a group of industry experts, including our own Doug Parker. After that, it was up to the readers from both outlets — a combined 6.6 million of them! — to pick the final winners. Among the Carnival Horizon’s popular features? The Havana Retreat area. In all, Carnival walked away with three first-place wins. As well as Best Ocean Cruise Line, the Carnival Sunshine was named Best Mid-Sized Ship (followed by the Coral Princess and the Queen Mary 2), and the Carnival Breeze was crowned Best Cruise Ship for Families (with Regal Princess and Carnival Horizon taking second and third place in the category). Elsewhere, Princess Cruise Line’s Regal Princess was named the Best Large Cruise ship (with Carnival Breeze and Carnival Horizon taking the second and third slots), and the Viking Sea nabbed the award for Best Small Ship (meaning under 1,000 passengers). Carnival Sunshine sailed away with top honors in the Midsize Ship category. When it came to Best Dining At Sea, the Royal Princess took top honors, with Carnival Horizon and Viking Star filling the runner-up slots. To see the complete list of winners — including those in the river cruise category, click here. If you were to pick your favorite cruise ship, which one would take the top spot?